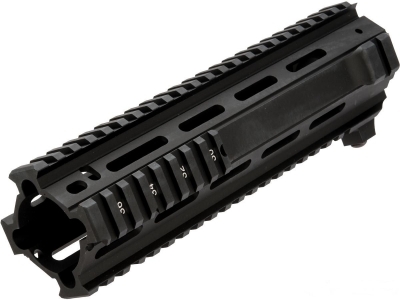 Home > AngryGun > Angry Gun L119A2 Rail - 9.25 Inch Short Version. Angry Gun L119A2 Rail - 9.25 Inch Short Version. Compatible with the M4 AEG, WA, Inokatsu, VFC, WE GHK GBBR Series. Not compatible with Marui gas Blowback rifles. As used by the Canadian military.